Maybe you're looking for a sleep mask because you like to sleep in total darkness or maybe you just need a good option for travel. Whether you are a side sleeper or want a soft, natural option, we have a list of the top-rated sleep masks on the market today, so you're sure to find one you need. We’ve chosen the Alaska Bear Natural Sleep Mask as our number one sleep mask, as it is highly-rated and made with natural silk on both sides, making it breathable, soft, and smooth. Our runner-up pick is the Dream Essentials Sweet Dreams Contoured Mask because it forms to the shape of your face without touching your eyes or lashes, so it’s breathable, non-invasive, and perfect for side sleepers. Many of us struggle to get to sleep when we can’t control the light sources around us, making for a disruptive and restless night’s sleep when travelling. Whether you’re a frequent traveller, or simply a light sleeper, you may find it beneficial to invest in a good quality sleep mask. Sleep masks are excellent at giving you full control over the light around you, blocking out any unfamiliar light sources when you’re flying, travelling by train or bus, or when you’re staying in a new location. Likewise, if you find you are particularly sensitive to light when sleeping at home, or suffer from migraines and headaches, you may find that a sleep mask totally transforms your sleeping experience and provides some much-needed respite for tired eyes. Below, we’ve reviewed some of the very best sleep masks on the market, from masks that provide total light blocking, to pressure and pain relief if you find your eyes need a rest at the end of a long day in front of your computer. Check out our top picks and find a mask that provides the ultimate comfort and light control for your perfect night’s sleep. The Jersey Slumber is a 100 percent natural silk sleep mask, perfect for travellers due to its lightweight, breathable design. This mask can easily be packed in your carry-on for a comfortable sleep when you’re on the go, but is just as good for use in your own home. With a comfortable, adjustable headband and a breathable feel, this sleep mask is a fantastic all-rounder for anyone. You travel often: When weight and space are at a premium, the last thing you want is a bulky sleep mask taking up all the room in your carry-on. The Jersey Slumber is perfect for travellers, as it has a thin, extremely lightweight design that takes up barely any space at all. Combined with a comfortable headband, this mask can be worn anywhere for an undisturbed sleep. You have long eyelashes: The Jersey Sumber is designed for rub-minimising comfort, blocking out light while also providing minimal pressure on your eyes. If you have long eyelashes and have struggled to find a mask that accommodates them in the past, the Jersey Slumber is a great option. You sleep in different positions: Some bulkier masks may be slightly more effective at blocking out light completely, but they can make it tricky to sleep in certain positions – and we all know that when you’re travelling, sometimes you don’t get to choose what position you sleep in! This lightweight mask is a great option for sleeping in all positions, from chair to bed and anything in between. You want a breathable, hypoallergenic material: Made from 100 percent natural silk, this sleep mask is breathable, cooling to the skin, and completely hypoallergenic to allow healthy oxygen in, while keeping your eyes dry and comfortable while you sleep. The Jersey Slumber sleep mask is a fantastic all-rounder and would be just as good for use in your bedroom as it is for frequent travellers. Made from 100 percent natural silk and with a soft elastic strap and an adjustable slider, this sleep mask is made from quality materials that provide a comfortable fit without ever slipping off your head. If you sleep in different positions (as opposed to always on your back or on your side), the lightweight design of the Jersey Slumber combined with its rub-minimising features makes it super versatile and ideal for keeping on-hand, no matter where you are. While the lightweight design may make it a little less effective at blocking out all light compared to other masks featured on this list, the wide and long design of the mask still makes it effective at blocking out most light for an uninterrupted sleep. Overall, if you are a frequent flyer and often find yourself in desperate need of an undisturbed night’s sleep on an overnight plane, train, or bus – you can’t go wrong with this quality silk sleep mask. The Mindfold sleep mask offers 100 percent light blocking, with deep eye cavities that put you in total darkness, even if you open your eyes. With thick, soft foam padding and a large fit to cover your eyes completely, this mask is perfect if total light blocking is a priority for you. 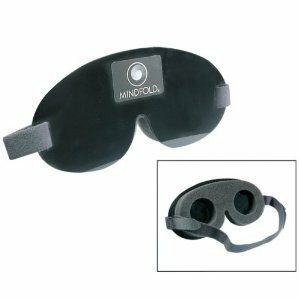 You need to sleep in complete darkness: If you really struggle to sleep unless in total darkness, the Mindfold sleep mask is a great option for you. With foam padding and deep cavities for the eyes, this mask guarantees total darkness, even if you open your eyes – so there’s no light disrupting your sleep. You sleep on your back: The Mindfold is a fairly bulky mask compared to others on our list, making it not so suitable for side sleepers. If you prioritise total darkness and sleep on your back, however, this mask is perfect for you. You sleep with earplugs, too: This sleeping mask comes with a set of earplugs included, so you can block out light and sound for the best night’s sleep ever. 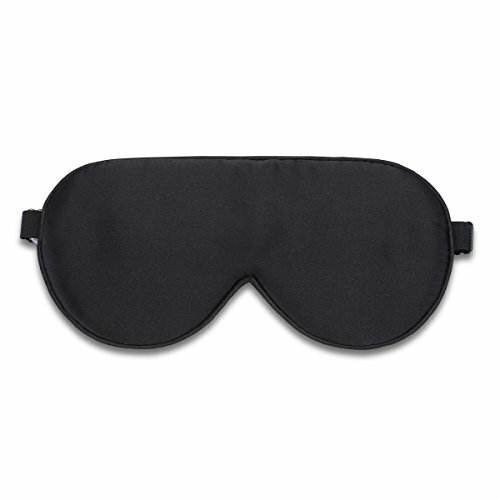 You want a sleeping mask for more than just sleeping: Some people may find the bulkiness of this mask off-putting for sleeping in, but it could also be perfect for meditation or even for games where being blindfolded is required! The Mindfold sleep mask is constructed from a flexible black face plate which is backed with a soft foam padding. This padding has two large cutouts to create a deep hollow space for your eyes, providing total darkness within the mask. The sleep mask also has an adjustable Velcro head strap to allow you to fit the mask perfectly to your face. Those of you with long hair may find the Velcro a little annoying – but just take extra care when fitting and you shouldn’t have any problems. The Mindfold sits away from your eyes, making it perfect for people with long eyelashes and those who want to avoid any pressure on your eyes while sleeping. It’s important to note, however, that this design does by default make the sleeping mask a lot larger with a thicker profile, so it is not ideal for side sleepers. The Mindfold sleeping mask’s deep eye cavities make it absolutely perfect for people looking for a mask that provides total light blocking, either for sleeping or for meditation at home. The Alaska Bear is a super-smooth sleep mask, constructed from 100 percent top-quality mulberry silk on both sides and a gentle headband that won’t tangle or snag the hair. This lightweight mask not only provides total blackout for an undisturbed sleep, but is made from premium, breathable materials that make this mask just as at home in premier spas around the globe as it is on a long-haul flight. A comfortable, breathable fabric is your top priority: The Alaska Bear is made from 100 percent silk on both sides. This material not only provides a super-soft feel, but is also perfect at cooling the skin. If you tend to run hot or want a sleep mask that’s ultra-breathable, this is a great option. You have long hair: A lot of care has gone into the Alaska Bear’s simple but quality construction, with a gentle, adjustable elastic headband that won’t tangle or snag in your hair, as opposed to masks with a Velcro band. You wear your sleep mask with earplugs: This sleep mask is designed to fit comfortably over your face with a small, gentle headband that sits above your ears, for a barely-there feel. If you prefer to use your sleep mask with earplugs, this mask will give you the perfect fit to do so. You suffer from insomnia, migraine, or dry eyes: Those who suffer from dry eyes will appreciate this sleep mask as the breathable material will allow oxygen in while keeping dry air out. Likewise, if you use a night cream while you sleep, the silk won’t absorb your lotion, so your skin will stay moisturised throughout the night. The Alaska Bear sleep mask is made from a top-quality 100 percent natural mulberry silk on both sides of the mask for a smooth, super soft touch. To secure the mask comfortably to your head, the mask has a gentle elastic headband with an adjustable strap. The strap remains at the back of the head when you adjust it, making it just as comfortable for side sleepers. This sleeping mask is another fantastic all-rounder, which everyone will love for its comfortable and beautifully soft feel. The natural mulberry silk also makes this mask ultra-breathable and gentle on the eyes, while also blocking out the light while you sleep effectively. If you are looking for a sleep mask that packs up small, feels ultra soft and comfortable, and will block out plenty of light for a good night’s sleep, whether you’re at home or on the move, the Alaska Bear sleep mask is a great quality choice at a fantastic price. If you’ve ever tried to sleep in a sleep mask on your side, you’ll be familiar with the frustration of your mask slipping off your face or uncomfortable straps digging into your head. The Dream Essentials silk sleep mask is designed specifically for side sleepers, guaranteeing a comfortable night’s sleep, no matter what position you sleep in. 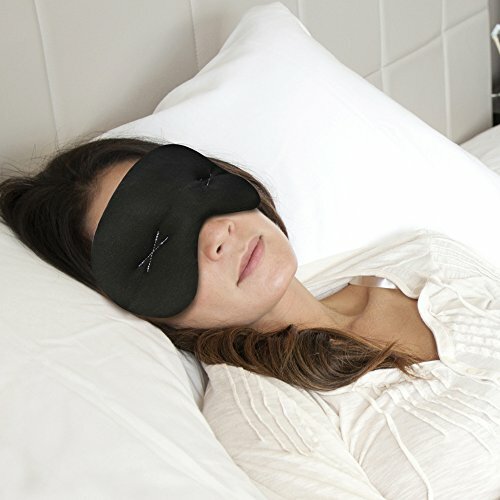 You sleep on your side: Designed particularly with side sleepers in mind, this mask is extremely thin, soft and supple, fitting your face perfectly in any sleep position. You want a breathable, but contoured material: The Dream Essentials Sweet Dreams Contoured Sleep Mask is lightweight and breathable, while still blocking out all light. Because the mask doesn’t actually touch your eyes, it keeps your eyes comfortable and able to breathe and doesn’t press down on your lashes, staying cool. You want a lightweight sleeping mask: With it’s thin, supple design, this sleep mask is extremely lightweight, making it perfect for slipping inside your carry-on when you want a guaranteed good night’s sleep while travelling. You want a Velcro headband: With an easy to adjust and easy to remove Velcro closure, this mask can be fitted to the size of your head and worn as tight as is comfortable for you without any hard plastic parts that will dig in. The Dream Essentials Sweet Dreams Contoured Sleep Mask is a fully contoured sleep mask that fits to your face and over the bridge of your nose without touching your lashes. It is made with a lightweight material that allows you to sleep on your side without any uncomfortable spots digging into your head. The material is also soft and breathable, to keep your face cool all night through. The headband is a thin elastic strap that is easy to adjust with a Velcro closure, allowing you to adjust the mask for a perfect fit. The thin strap has minimal bulk, so even when laying on your side, it won’t interfere with your sleep. This mask is also a great buy since it is priced affordably and comes with a set of earplugs and a carrying case, making it a great addition to your travel bag. 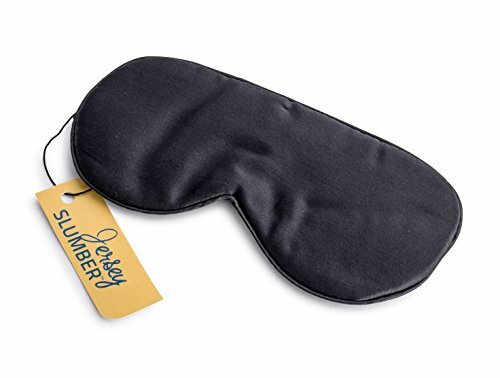 Altogether, this sleep mask is another fantastic, lightweight product, perfect for travel or for a comfortable night’s sleep in your own home. Do note that some customers have noted a “new” smell with this sleep mask when they first opened it, so you might want to air it out for a night or two before using it. But, if you’re a side sleeper and have had trouble with straps bothering you or you masks slipping in the past, this is still a solid option to go for. Sleep masks don’t need to be reserved for sleeping only – they can be a fantastic tool to give strained or tired eyes a rest. If you suffer from migraines and headaches on a regular basis and find your eyes are frequently sensitive to light, this sleep mask could solve all your problems. You suffer from migraines: Many people who suffer from migraines find themselves incredibly sensitive to changes in light, preferring to rest in a completely dark room while they recover. The weighted IMAK mask is perfect for migraine sufferers, as not only does it block out all light, but the heavier design is often found to be comforting when you have a headache. You need pain relief: What’s more, the IMAK has proprietary ergoBeads inside the mask with unique stitching to alleviate direct pressure around the eyes. These features are fantastic at providing pain relief as the beads can create a gentle massaging effect while wearing it. You want a mask that provides cooling relief: Another huge benefit to this mask is that it can be placed in the fridge or freezer, to provide cooling therapy when suffering from a migraine or a headache. Simply place the mask in the fridge for 30 minutes to provide cool therapy to puffy or tired eyes or an aching head without the shock of a traditional ice pack. You don’t want a silk mask: Many of the masks featured on this list are made from breathable, natural silk. The IMAK, however, is made from a breathable cotton fabric that is comfortable to wear and helps the skin stay cool while wearing. 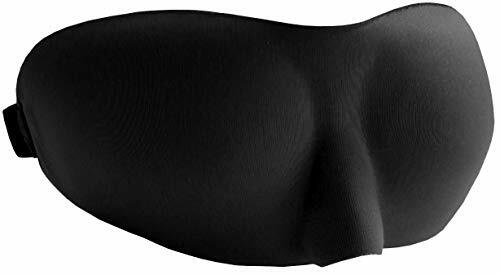 The IMAK Compression sleep mask is made from a breathable cotton fabric and filled with the company’s own ergoBeads that are used to create a massaging effect while wearing the mask. The mask also features unique stitching where the eyes go to alleviate any direct pressure from the mask, while the more weighted design of the mask can provide a comforting feel itself. The mask’s headband is a simple elastic strap, as the weight of the mask will keep it securely over your eyes more than the band itself. For this reason, the mask is best used for back sleepers as it may slip off if you turn on your side. One of the best features of the IMAK is that it can be placed in the fridge to provide cooling therapy for anyone suffering from a migraine, headache, or puffy eyes. The combination of cooling therapy and acupressure from the weight of the mask itself can be extremely comforting, making this perfect for pain relief and relaxation. While the IMAK does effectively block out light, it’s much more than a simple sleep mask. If you want a sleep mask that will provide pain relief and help you to relax and soothe your eyes, this is definitely a mask to try. Hopefully this list has given you a few options to try out. Luckily, they are all very affordable, so if you have to grab a couple of them to see which one works for you, it’s not a huge expense. Overall, if you’re just going to buy one, we recommend the Alaska Bear Natural Sleep Mask because it has over 10,000 positive reviews and suits most people, plus it’s made of natural silk and, for its price, is a great deal.